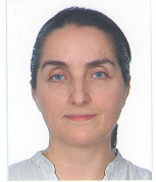 Director, Center for Stem Cell Research and Development of Hacettepe University. Interests: Hematopoetic stem cell transplantation, inherited diseases, quality issues in HSCT, nursing care in HSCT, mesenchymal stem cell research and therapy, bone marrow microenvironment. -Graduate of Ankara University Medical School. - Head of “Stem cell transplantation and cellular therapy Society” in Türkiye.